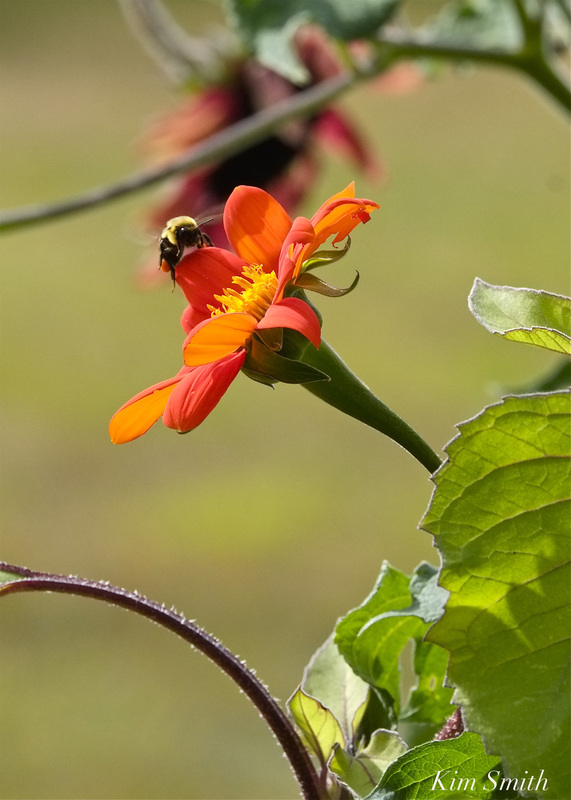 Please join me Thursday, February 8th, for my Pollinator Garden program at Ebsco, 5 Peatfield Street, Ipswich. 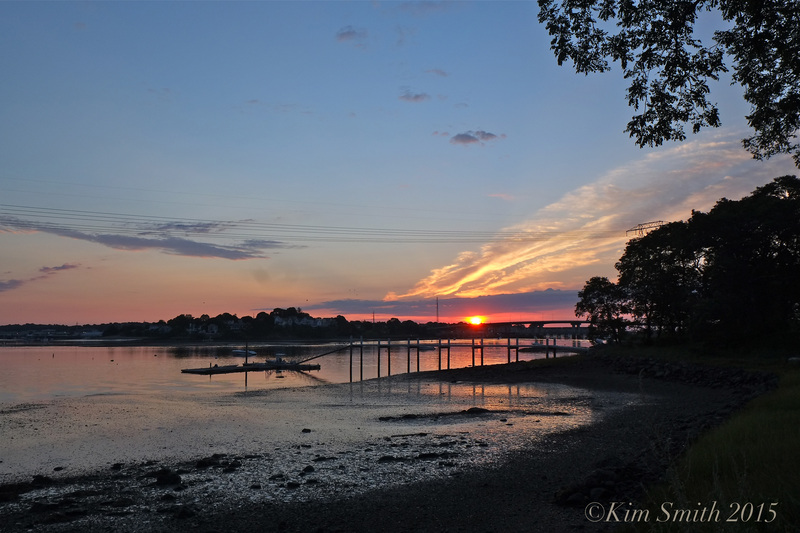 The program begins at 6:30pm and is sponsored by the Ipswich Town and Country Garden Club. I hope to see you there! 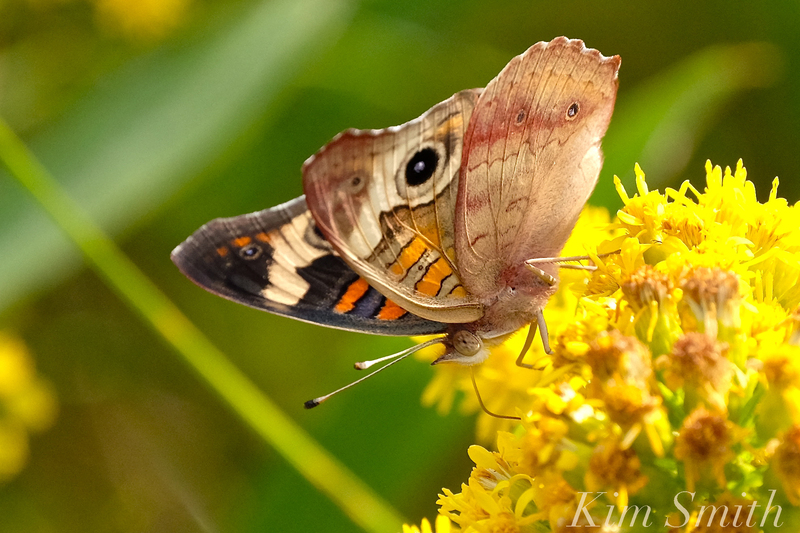 This entry was posted in Birds of New England, Butterflies of Cape Ann, Butterflies of Massachusetts, Butterflies of New England, conservation speaker massachusetts, Creating a Butterfly Garden, Home and Garden, Hummingbirds, Lepidoptera ~ Butterflies, Skippers, and Moths, Life at the Edge of the Sea, Native Plants, Wildflowers and tagged Common Buckeye Butterfly, Ebsco, Ipswich Town and Country Garden Club, kim smith conservation speaker, pollinator garden lecture, Seaside Goldenrod, The Pollinator Garden on February 5, 2018 by Kim Smith. 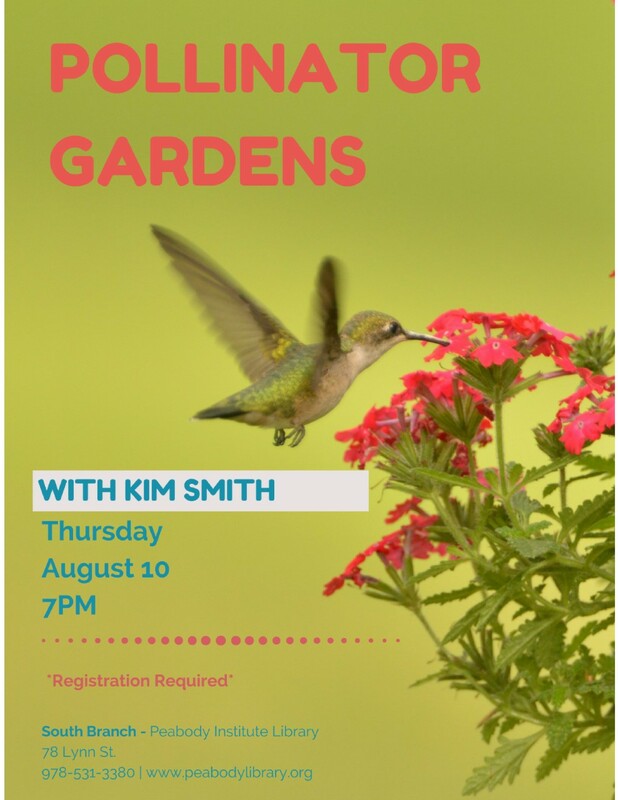 The South Branch is excited to welcome landscape designer and professional photographer Kim Smith to talk about gardens designed to attract pollinators. 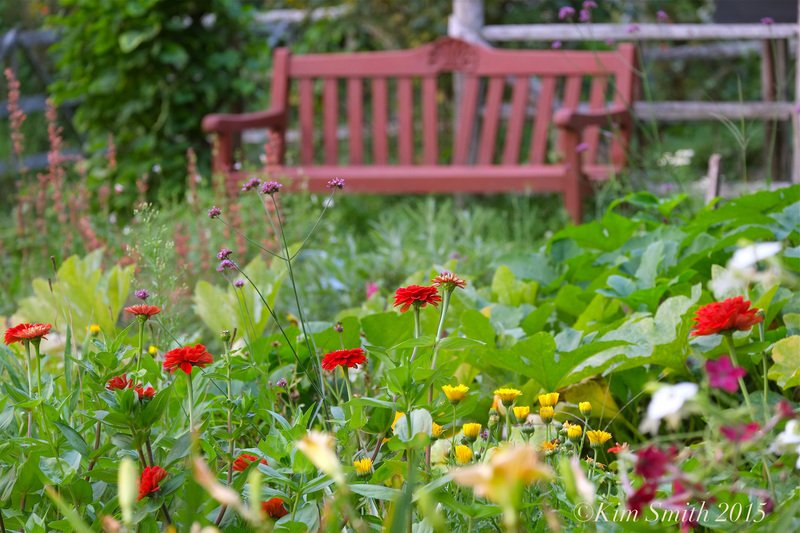 She will be presenting a slideshow with stunning, original photographs and a lecture on how to work with the rhythm of the season to create a garden that will attract bees, butterflies, birds and other wildlife essential to pollination for beautiful blooms. 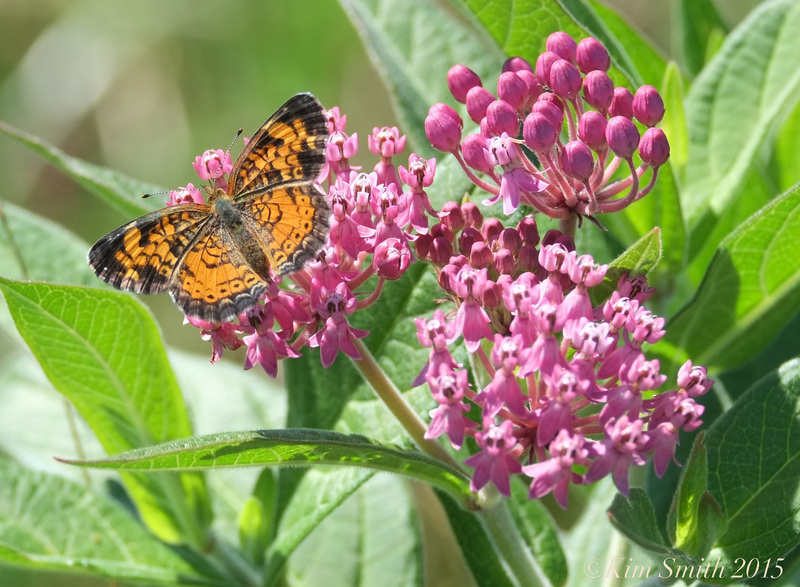 She will discuss native plants and organic and architectural features that have value to certain species that can visit (and even help!) your garden. 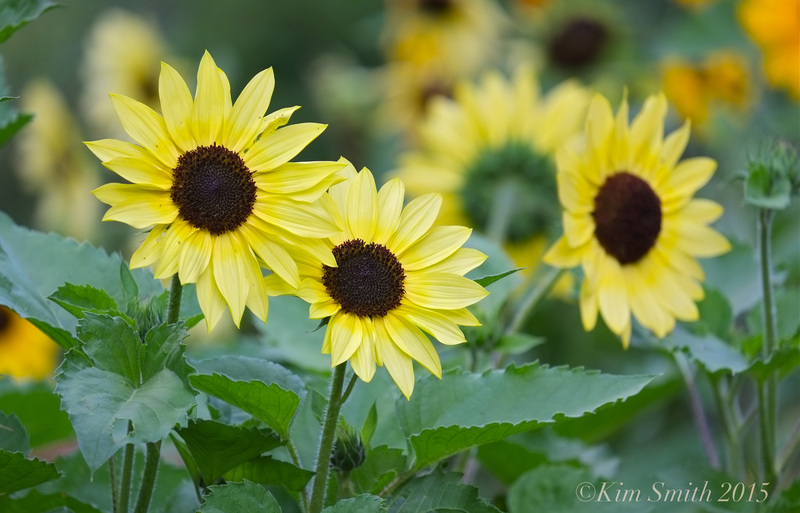 This program is ideal for anyone who gardens, enjoys wildlife photography or likes to learn about nature. 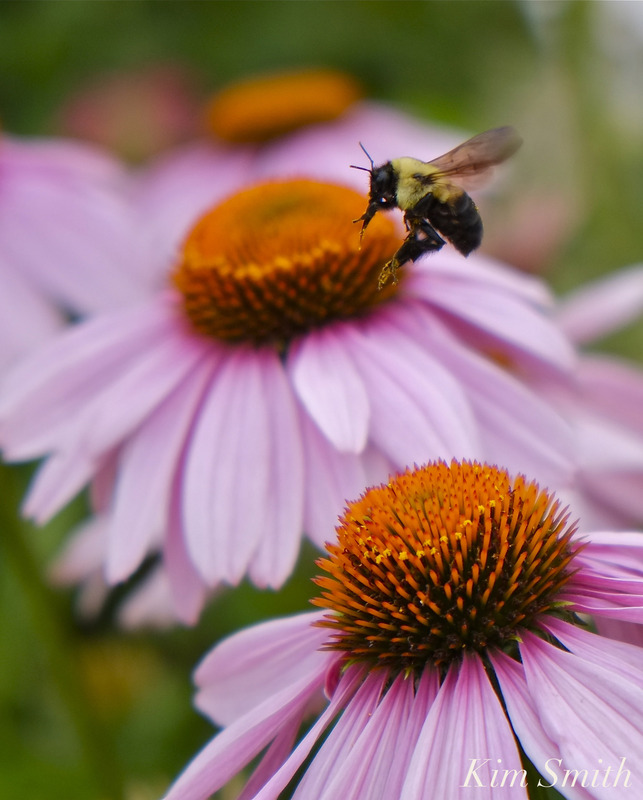 The Pollinator Garden will take place at the South Branch of the Peabody Institute Library, 78 Lynn St. on Thursday, August 10 at 7PM. The program is free, but space is limited and registration is required. For more information and to reserve your free spot, please go to www.peabodylibrary.org or call 978-531-3380. This program is generously sponsored by the Friends of the Peabody Institute Libraries. 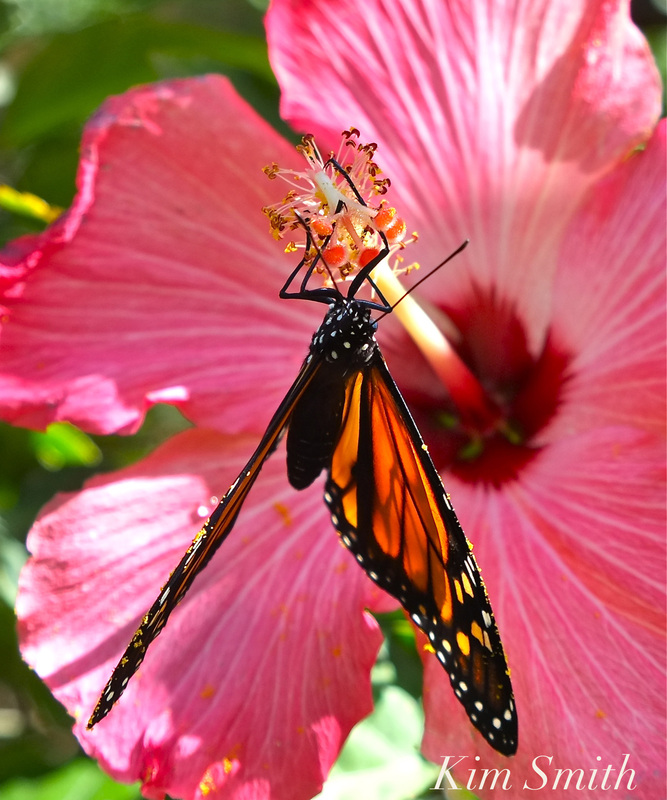 This entry was posted in Bees, Butterflies of Cape Ann, Butterflies of Massachusetts, Butterflies of New England, Butterfly Garden, Cape Ann Wildlife, conservation speaker massachusetts, Creating a Butterfly Garden, Design Projects, Hummingbirds, Lepidoptera ~ Butterflies, Skippers, and Moths, Monarch Butterfly (Danaus plexippus), Native Plants, Oh Garden of Fresh Possibilities!, Wildflowers and tagged conservation speaker massachusetts, PEABODY LIBRARY SOUTH BRANCH, pollinator garden lecture, The Pollinator Garden on July 12, 2017 by Kim Smith. 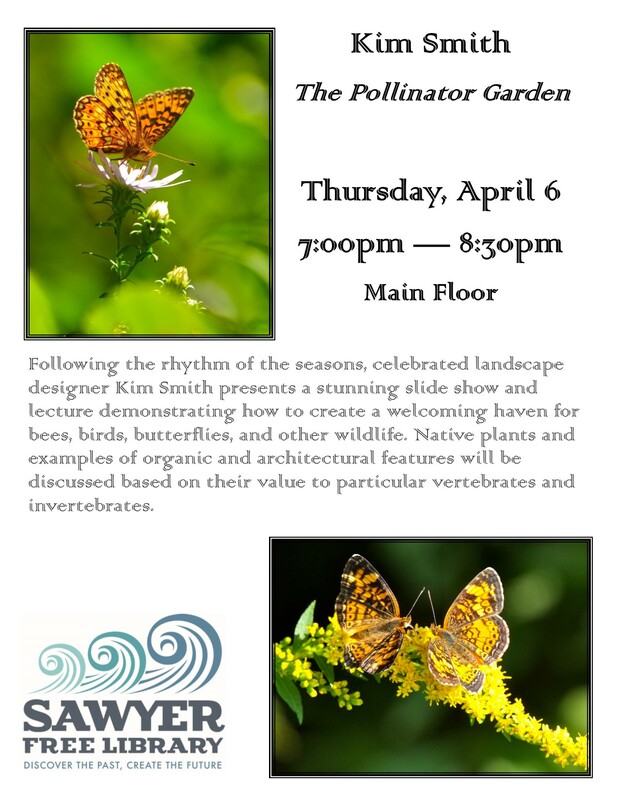 Please join me April 6th at 7pm, at the Sawyer Free Library where I will be giving my Pollinator Garden talk and screening several short films. The event is free and open to the public. I am looking forward to presenting this program at our wonderful Sawyer Free and hope to see you there!! Thank you to Diana Cummings at the Sawyer Free Library for making the lovely poster! 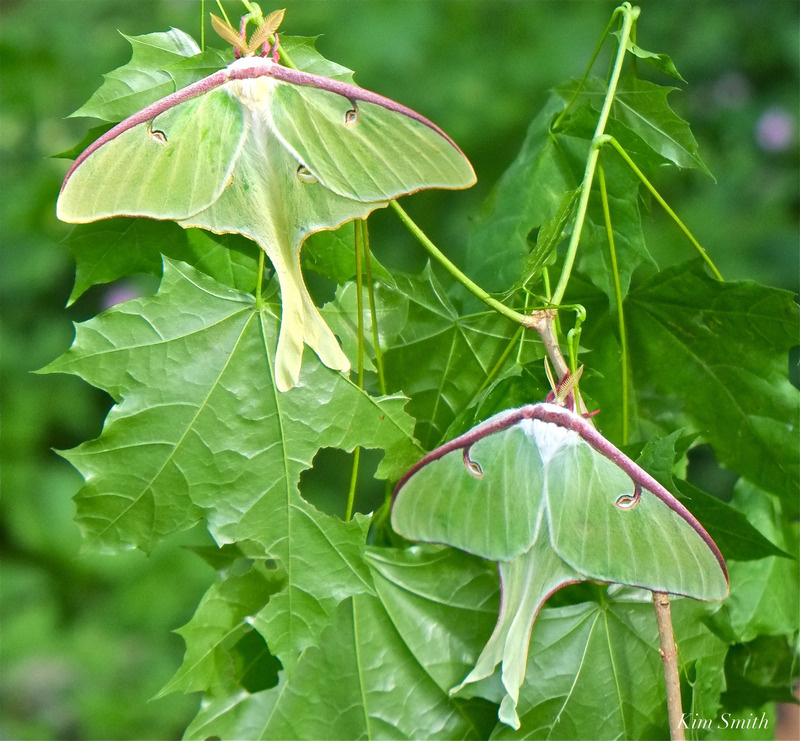 This entry was posted in Bees, Birds, Birds of New England, Black Swallowtail Butterfly, Butterflies of Cape Ann, Butterflies of Massachusetts, Butterflies of New England, butterfly film, Butterfly Garden, conservation speaker massachusetts, Creating a Butterfly Garden, Home and Garden, Hummingbirds, Lepidoptera ~ Butterflies, Skippers, and Moths, Native Plants, Wildflowers and tagged Bee, birch tree, Butterfly gardening, Cecropia Moth, creating a garden for pollinators, Diana Cummings, Echinacea, Habitat Gardening, Kim Smith Massachusetts conservation speaker, Male Cecropia Moth, Monarch Butterfly Chryslais, Monarda didyma, Pearl Crescent butterfly, Sawyer Free Library, Silver-bordered Fritillary, The Pollinator Garden on March 28, 2017 by Kim Smith. 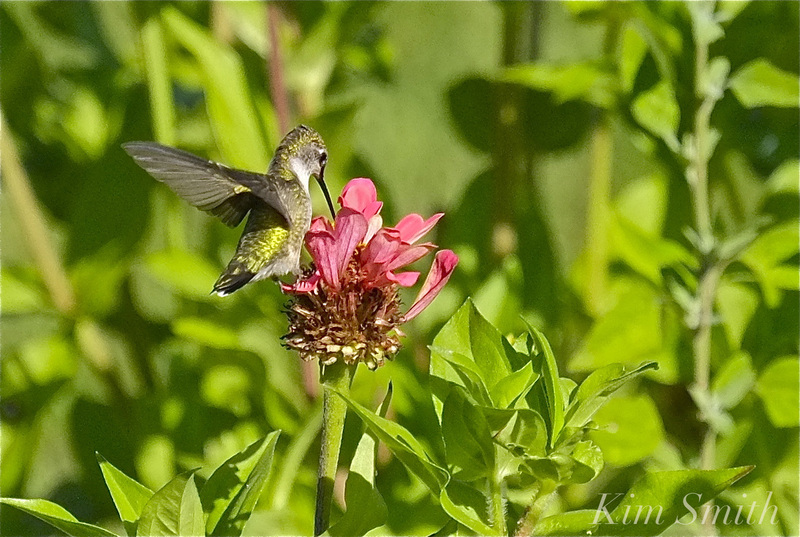 Have you ever wondered why sometimes you can see the brilliant red gorget (throat feathers) of the male Ruby-throated and Allen’s hummingbirds, and sometimes not at all? Or why iridescent feathers appear green, and then blue, or possibly purple, and then in the next moment look drab and dreary? 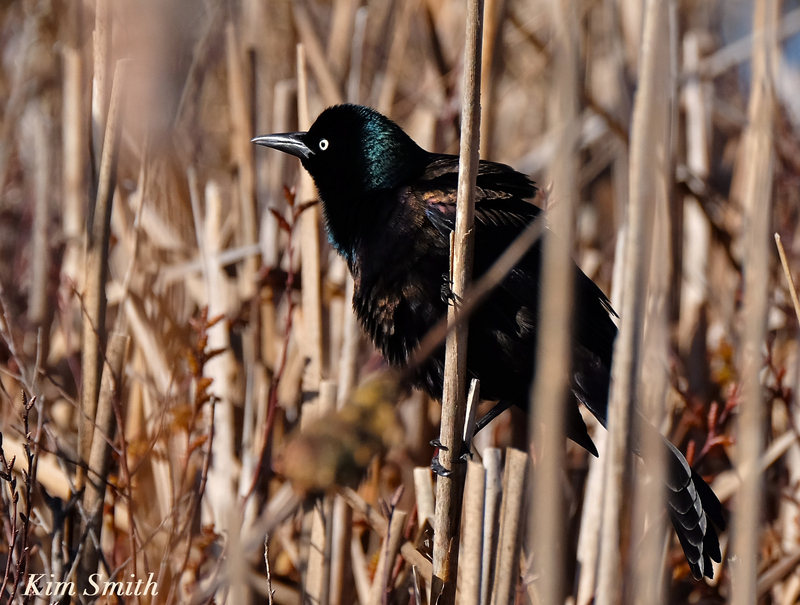 I think about this when photographing birds such as grackles, buffleheads and hummingbirds. 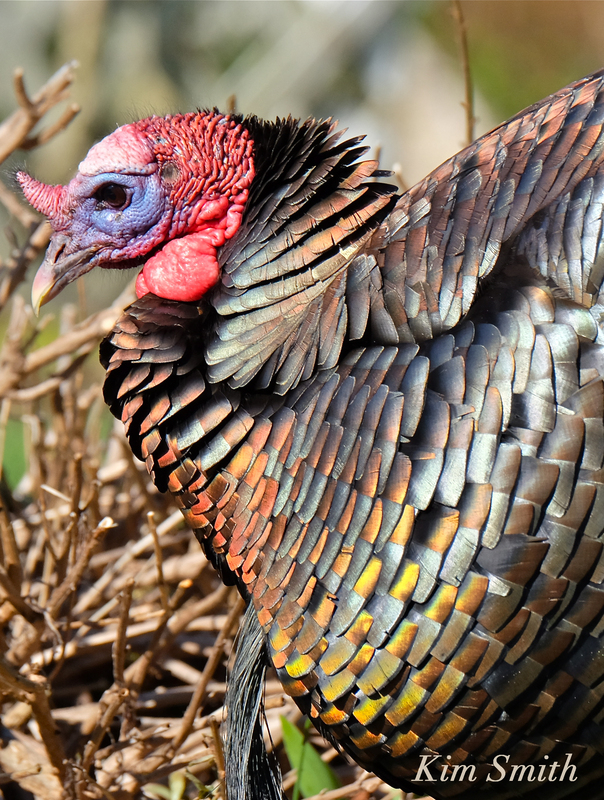 Most recently, the turkeys in our community are currently displaying their wildly varying iridescent feathers when in full courtship mode. There are two types of structural color, layering and scattering. Iridescence in bird feathers is created by layering. 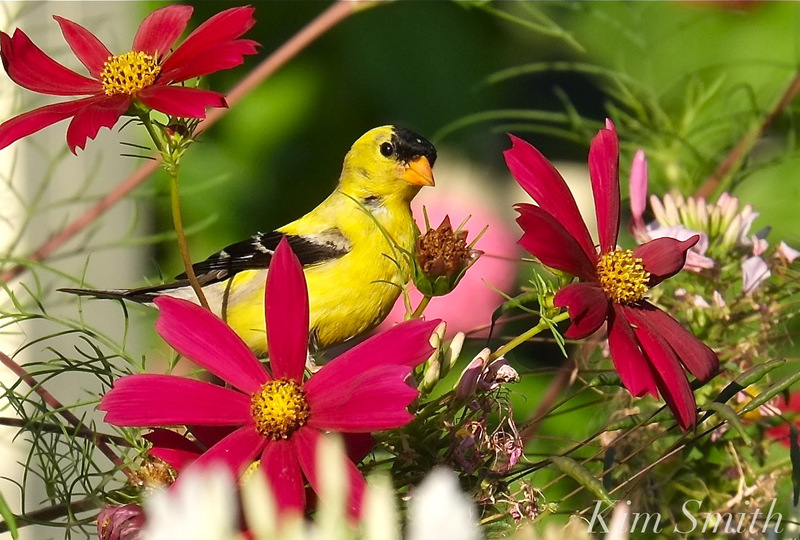 Bird feathers are made of a translucent protein called keratin, which is a very rugged substance. 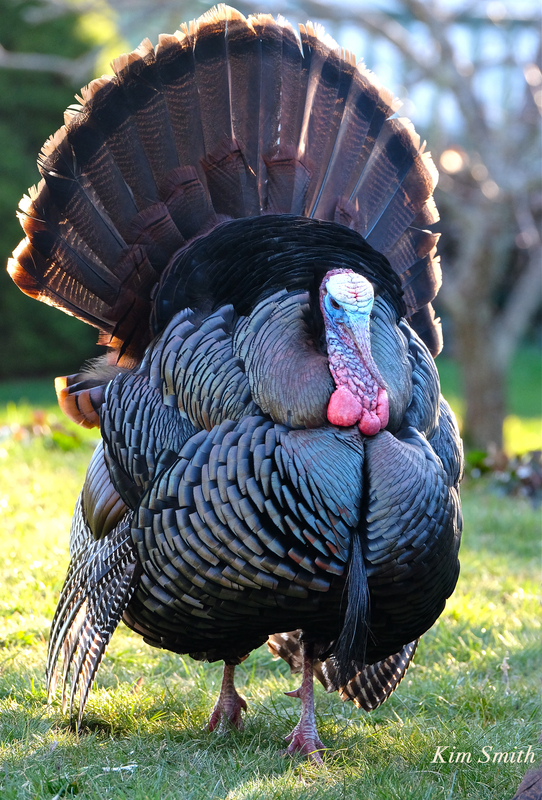 Not only are the feathers made of keratin, but keratin coats the bird’s claws, legs, and bill. Because of the structure of the feather, with its microscopic barbules, when light hits the feather it causes the wave lengths to bend, or refract. Keratin reflects short wave length colors like purples, blues, and violets. The other colors are absorbed by the underlying layer of melanin. The refraction works like a prism, splitting the light into an array of colors. 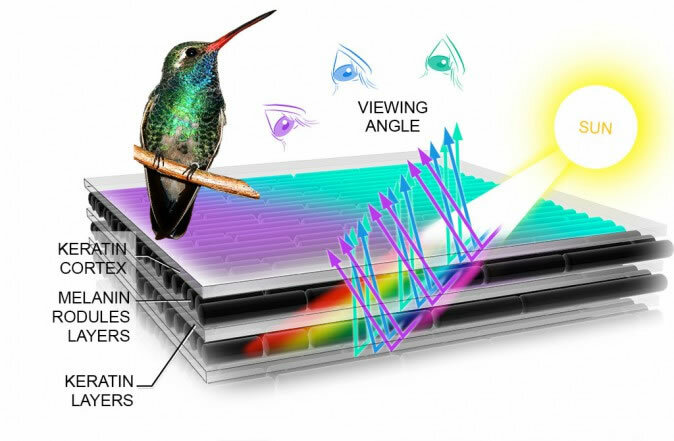 As the viewing angle changes, because of the viewer’s movement or because the bird is moving, the refracted light displays a shimmering iridescence, or none at all. Beautiful color combinations are created when iridescent layers are combined with pigments present. 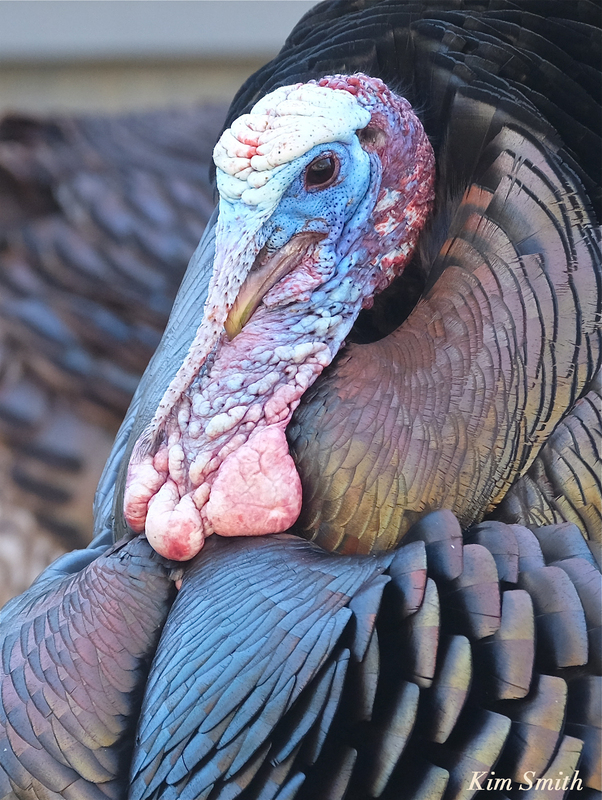 In the above photo, the male Turkey’s iridescent feathers surrounding the head make a splendid display in full sun. 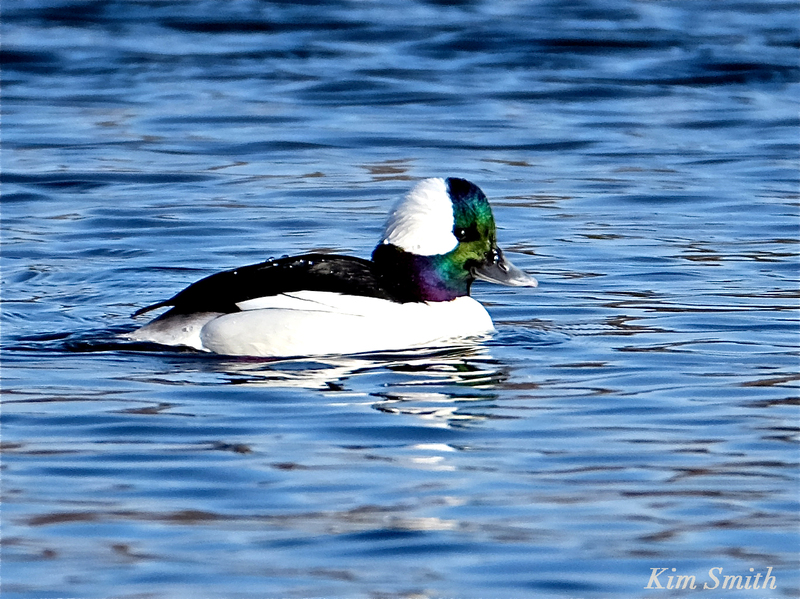 These same feathers appear entirely different when back lit. Keratin is interspersed with tiny pockets of air of within the structure of the feather filament (called barb). Scattering is created when light hits the pockets of air, which results in specific, non-iridescent color. The color blue in feathers is almost always created in this manner. 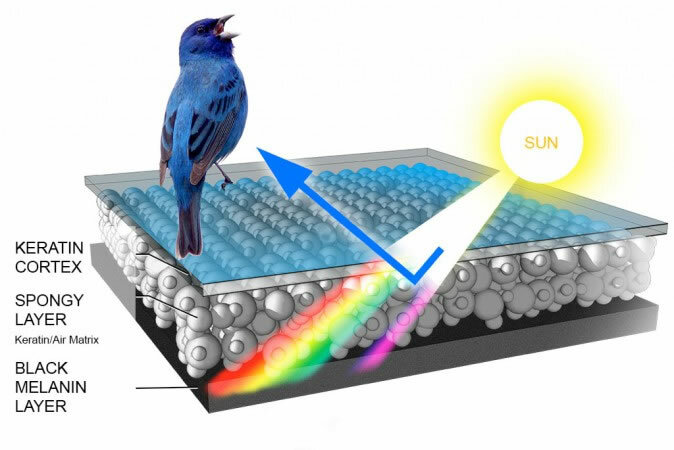 Feathers of Blue Jays, Bluebirds, and Indigo Buntings are prime examples of scattering. Here are two graphics found online from Cornell that I found very helpful in trying to visualize the difference between layering and scattering. The first shows how iridescence is produced and the second, how blue scattering is created. This entry was posted in Birds, Birds of New England, Hummingbirds, Songbirds and tagged American Robin, bird feather color, birds of cape ann, birds of Massachusetts, Bufflehead male, Grackle, how color is formed in bird feathers, how colorful bird feathers are made, iridescent feathers, layering, Male Allen’s Humminbird, non-iridescent feathers, scattering, structural color, Wild Turkey on April 16, 2016 by Kim Smith. 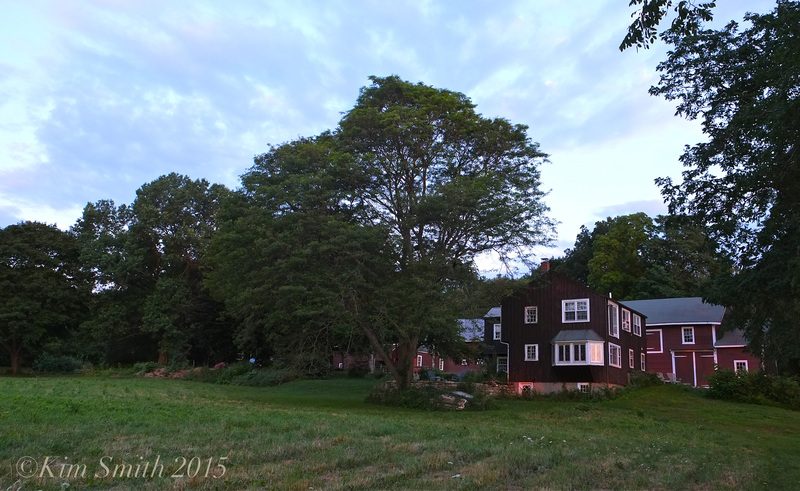 GOOD MORNING FROM CABOT FARM! For Nancy Lutts. Thank you dear lady! 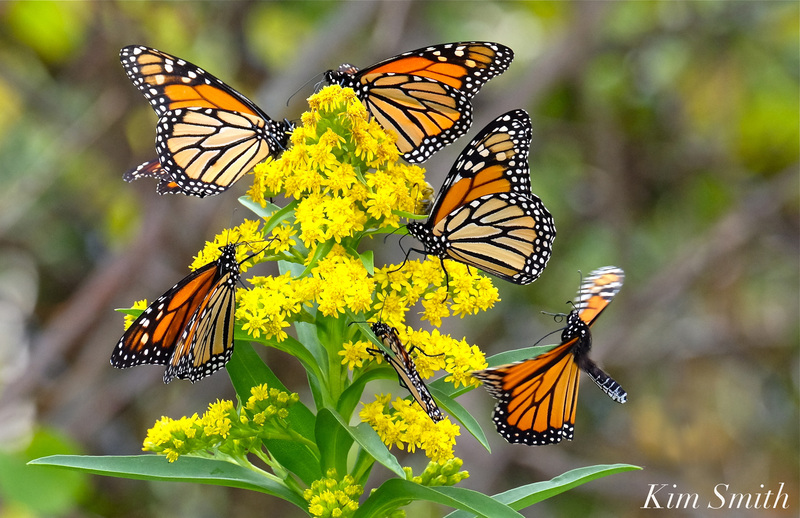 After collecting Monarch eggs last weekend, Nancy graciously allowed me to return to her gorgeous Cabot Farm to film and to photograph. 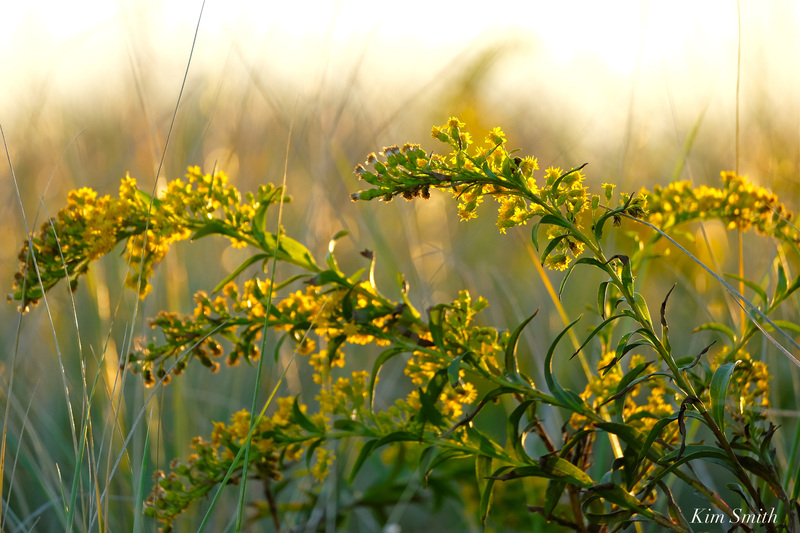 I was there at sunrise, which is relatively early in the day for butterfly sightings however, I did see four Monarchs and two were females depositing eggs all over the field! 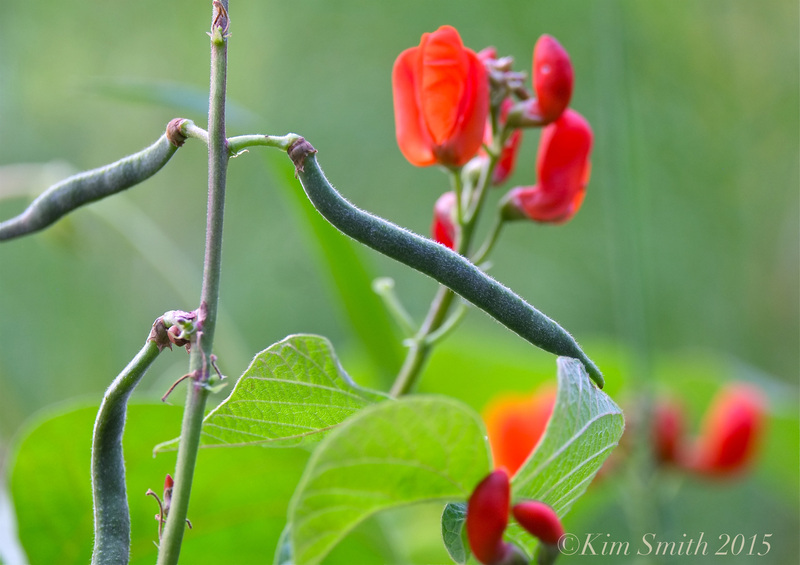 Scarlet Runner Bean; the blossoms are beloved by hummingbirds. 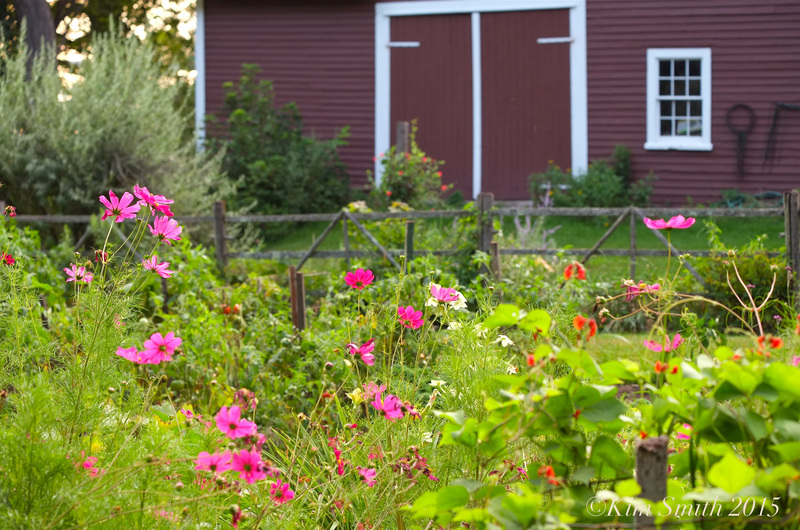 This entry was posted in Creating a Butterfly Garden, Home and Garden, Hummingbirds, Monarch Butterfly (Danaus plexippus), Monarch Butterfly Migration, Native Plants, Wildflowers and tagged Cabot Farm, Cosmos, Danvers river, Female Pearl Crescent Butterfly, Helianthus annus, Honey Bees, Monarch butterfly migration, Nancy Lutts, New Guinea Hens, Salem, scarlet runner bean, Sunflower on August 19, 2015 by Kim Smith.